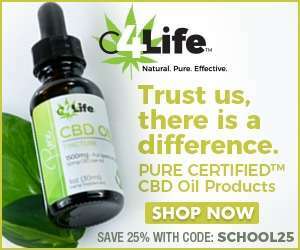 C4Life has dubbed themselves as “your go-to brand” for superior quality CBD products. In an industry where its vital to stand out from the competition, C4Life understands just how important it is to ensure customer satisfaction. Right off the bat, you can tell this is a company that takes quality CBD seriously. Something that we found stood out to us about C4Life before we even tried a couple of their products? That they mention third party testing right on the homepage of their website. 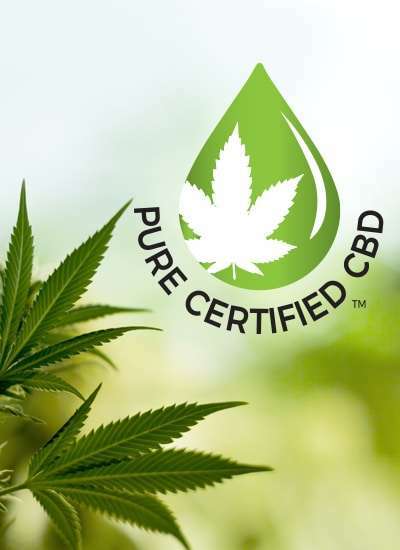 It’s also stated that the only CBD oil manufacturer to carry the “PURE CERTIFIED CBD” seal. We’re pretty sure it’s a trademark C4Life has given themselves. What is it, though? But do they have the third party test results to back up their claims? On every product they offer, lab test results easily available right next to the product’s description. Why are third party lab results so important? As we’ve said before, because the CBD industry has been so unregulated, anyone can say anything they wish about the product they offer. This means that even though a company might say they’ve got the “highest-quality” CBD oil, it could be anything but. We feel like C4Life truly is dedicated to quality as they say they are. We regularly review A LOT of CBD companies. Something we really liked about C4Life is that they’re totally transparent about who they are. Many “About Us” sections on CBD websites either don’t exist at all, or they give little information to who’s really behind the company. Not with C4Life. Not only does their “About Us” let their potential customers know exactly who the founders are, but also introduces the entire team. The founders themselves are two highly professional individuals, Jim Zimmerman and Dave Rye. Before founding the Zimmerman Group, Zimmerman was Director of New Products and Development at Pillsbury and New Products Development Manager at General Foods. During his career he’s launched over 250 new products. Rye has spent the last 30 years of his life in business development and sales. 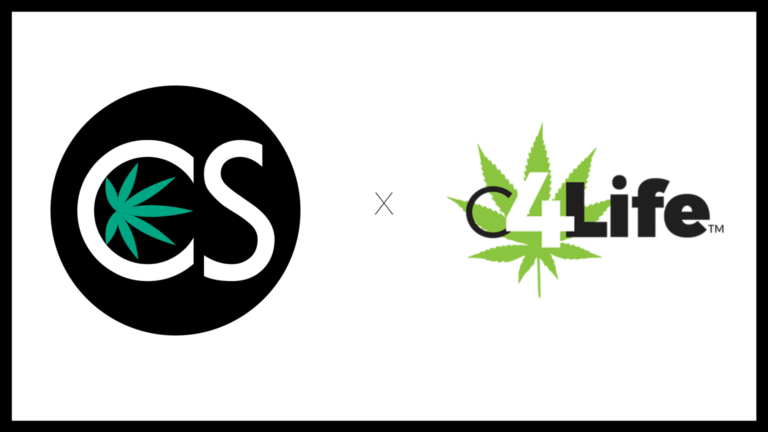 Together, they’ve launched C4Life after experiencing the benefits of CBD firsthand. What about C4Life products themselves? We tried the Restore CBD Oil Tincture. For one, we can tell it’s just as natural as C4Life claims it to be. If you’ve read our other reviews, you know we prefer a “natural” CBD oil over one that is flavored artificially. C4Life tastes exactly like the full spectrum oil that it is. What makes it a “restoring” CBD oil blend? For one, it’s got turmeric and ginger oils added to it…and both have long-been used to alleviate various types of pain. Turmeric has been used for centuries as a natural aid to help reduce pain. Curcumin, the active compound in turmeric, is known for both its anti-inflammatory and antioxidant properties. Clinical studies show turmeric holds promising effects for several different health conditions including arthritis, cancer, Chron’s disease, IBS, cardiovascular disease, and many more. Research on ginger points to “remarkable pharmacological and physiological activities.” Ginger has been used for thousands of years in the treatment of several conditions, including arthritis, migraines, hypertension, and more. C4Life has obviously done their research. We believe that anyone looking for relief from pain and inflammation could just find it in C4Life’s Restore CBD Oil with Turmeric & Curcumin. Restore is only available in a 500mg option ($75.00), which gives you 16mg CBD per serving. 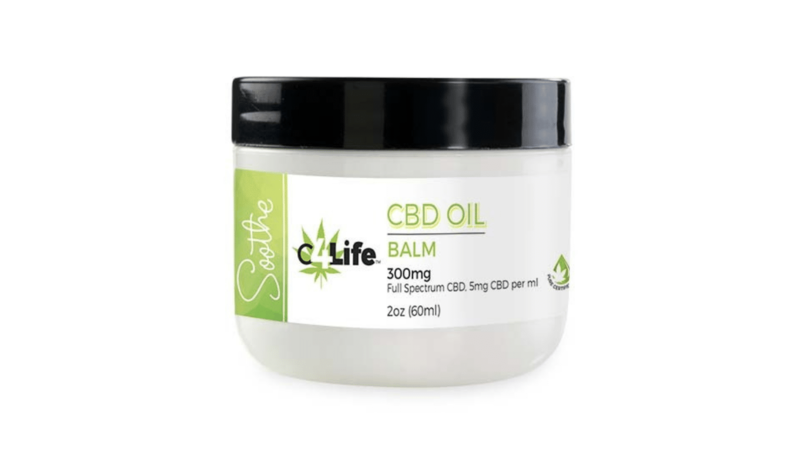 We also tried C4Life’s CBD Oil Roll-On Pain Gel ($40.00). It’s a cooling formula, which we can appreciate from time-to-time but isn’t our go-to when it comes to topical relief. That being it did work to ease muscle tension we always seem to carry in our shoulders. The cooling effects came on quick, while pain-relief seemed to last for a couple of hours. What about C4Life’s other products? We didn’t try them so we can’t make any claims. If they stand up to the quality of the products we did try, however, we’re sure they’re a product you can trust. Their CBD Beauty Products are a bit on the expensive side. 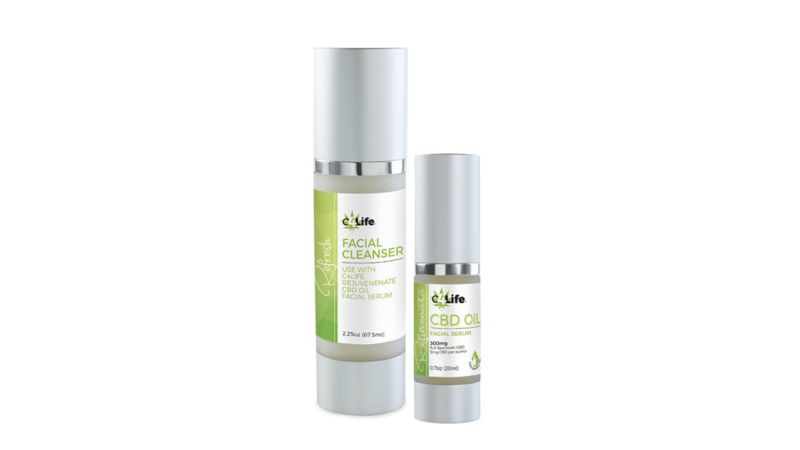 CBD Oil Facial Serum will cost you $105; however, the Facial Cleanser is a bit more affordable at only $25. Here’s the thing, though. The facial cleanser doesn’t contain any CBD. 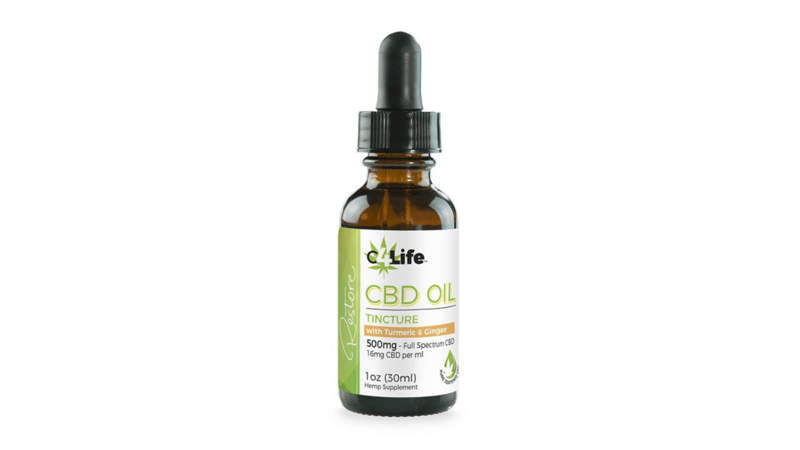 While our two dogs were left out this review and didn’t get to try C4Life Pure Pet CBD Oil Tincture ($75.00), the one review that’s given for it said it made for a “huge shift” in the demeanor of an anxious little chihuahua named Nellie. While our own dogs are anything but little, we LOVE a CBD oil that can calm pet anxiety. 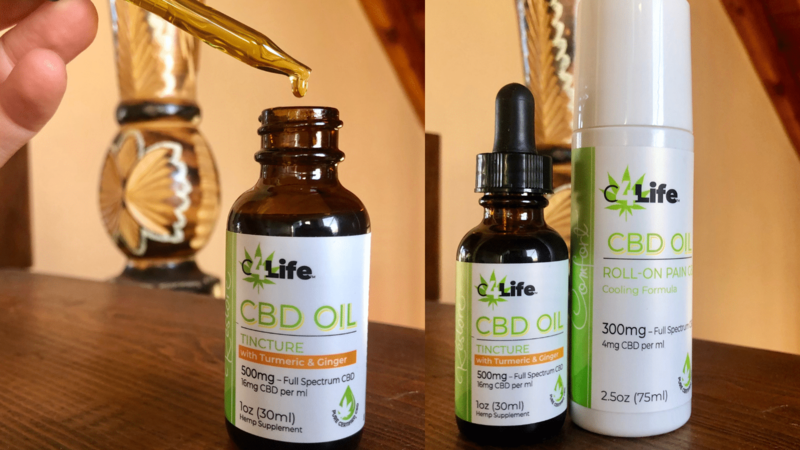 Overall, we’re happy with what we found in C4Life CBD. We can appreciate the professional website, commitment to quality, and no-frills approach they’ve taken to their CBD products. If there’s one thing we really appreciate here at CBD School, it’s a quality CBD product you can trust. Too many unsuspecting CBD consumers have gotten ripped off by companies making false claims about their products. With C4Life, this isn’t the case at all. Their dedication to offering a quality product backed by lab results to prove it is something that is offered from the moment you go onto to their well-designed website. Would we use C4Life again? At this point, we know quality when we come across it…which is exactly what we found with C4Life. We’re particularly pleased with their tincture. 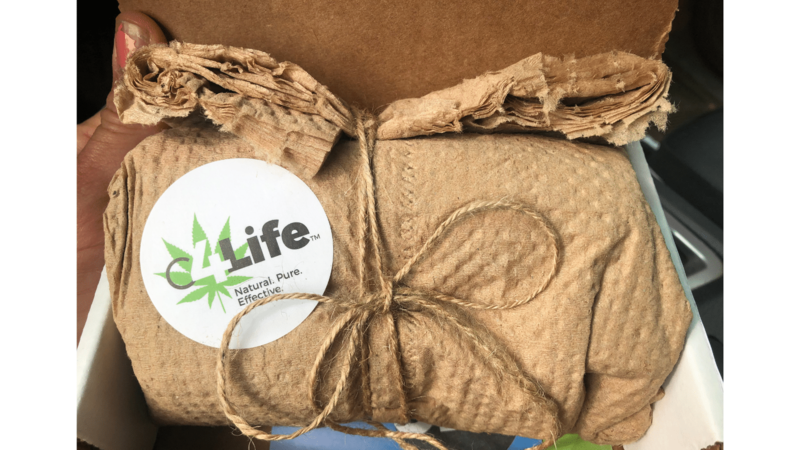 As one of the newest CBD companies to hit the market, we truly believe that C4Life is off to a great start and can’t wait to watch their progress.